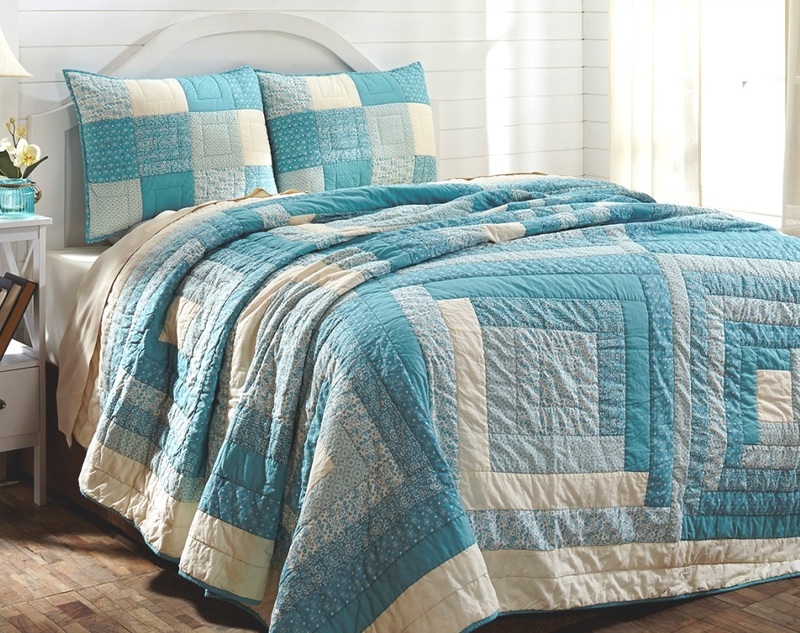 A lovely quilt set that will bring tranquility to any bedroom, our Coastal Cottage quilt set features aqua-blue floral prints and solid fabric patchwork on a light cream background. 100% Cotton cover and fill, luxuriously oversized, and prewashed for added comfort. Reverses to a solid aqua blue that matches the front. Set includes quilt + 2 shams.